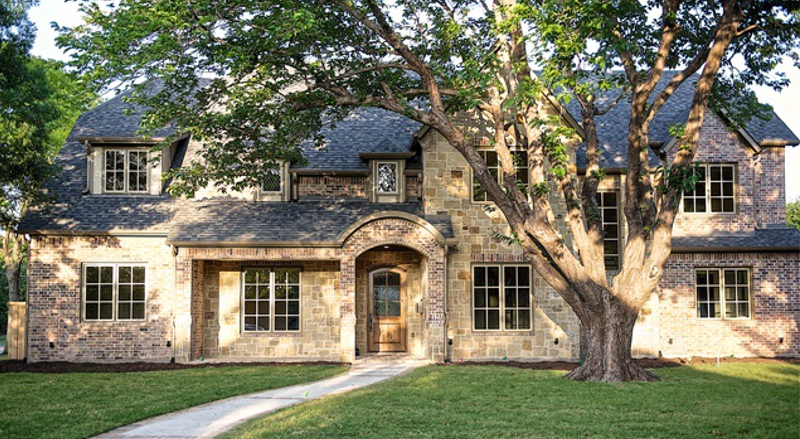 Preston Hollow is known as one of the wealthiest area of Dallas, even the state of Texas and Ron Davis Custom Homes is setting a new standard of luxury for some of Dallas’ most discerning clients. Contact Ron Davis Custom Homes at 972-680-0365 or Click Here. Preston Hollow is home to many of the richest people in Dallas — and a certain former president of the United States — but the majority of its streets are lined with modest ranch-style homes. Many residents take advantage of the neighborhood’s close proximity to the top private schools in the city, as well as the plethora of shops found at nearby Preston-Royal, Preston Center, and NorthPark Center. Locals love their easy access to the Dallas North Tollway and Northwest Highway to reach the rest of Dallas. The 2016 population of PRESTON HOLLOW is estimated to be 15,536. That’s a change of +6.4% in the last five years. Over the next five years, the population is projected to change by +5.7%. Among those employed, 3.9% are blue-collar workers, 91.2% are white-collar workers, and 4.9% are occupied as service industry or farm workers. The average commute time for workers who live in this area is 21.0 minutes. The average number of vehicles per household is 1.9. Covering 2.4 million square feet and housing more than 200 stores, NorthPark Center, which opened in 1965, is the largest mall in Dallas. It’s also the most special, thanks to founder Raymond Nasher, an art enthusiast and patron. Nasher—who also bequeathed his collection of modern sculpture to the city, which resulted in the Nasher Sculpture Center—designated areas within the mall to display fine art, and past displays have included world-renowned works from artists such as Andy Warhol and Frank Stella. Currently, the shopping center is home to a number of sculptures, including the enormous Ad Astra by Mark di Suvero; a 21-foot-tall blue safety pin called, appropriately, Corridor Pin, Blue by Claes Oldenburg and Coosje van Bruggen; and Joel Shapiro’s 20 elements, composed of 20 colorful blocks. NorthPark Center has undergone extensive renovations and expansive additions in its more than four decades of existence, and now the mall attracts more than 26 million visitors every year. Retail options include swanky store such Barneys New York, Neiman Marcus, Tiffany, Cartier, Bottega Veneta, Louis Vuitton, Salvatore Ferragamo, Burberry, and many others. Along with high-end fashion, shoppers can choose from a selection of stores carrying electronics, jewelry, specialty foods, and beauty products. The mall’s movie theater, the AMC NorthPark 15, was the site of the 2009 Dallas International Film Festival and has two of the nation’s largest theaters, each seating nearly 500. From the theater’s glass lobby, there’s a view overlooking CenterPark, a 1.4-acre garden in the middle of the shopping center. Throw in a public children’s library and more than 30 dining options—Ristorante Cibus and La Duni are two of our favorites—catering to every taste bud, and NorthPark Center is sure to sate every shopper’s desires.